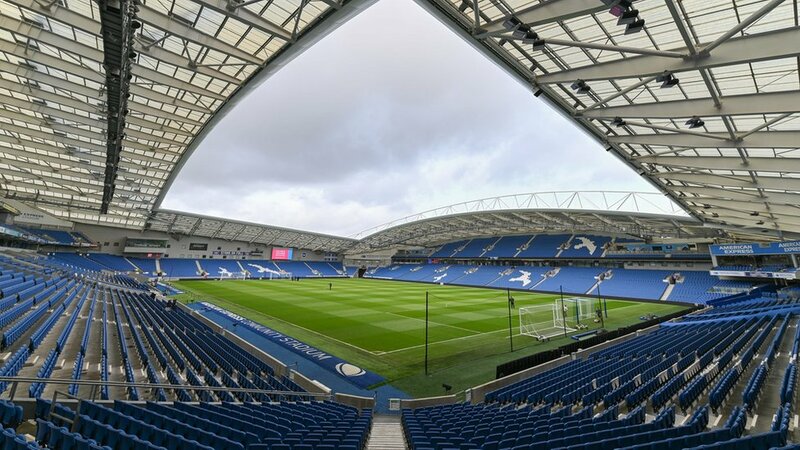 A father and son ejected from Brighton and Hove Albion’s stadium have been charged with threatening and abusive behaviour. Stewards at the Amex Stadium responded to reports of racist language during Saturday’s match against Burnley. Away fans Stewart Higgins, 53, and Nathan Higgins, 18, both of of Talbot Drive, Burnley, were charged with harassment-related offences. Both were bailed to appear before Brighton magistrates on 14 March. The elder Mr Higgins, an engineer, was charged with using threatening or abusive words or behaviour likely to cause harassment, alarm or distress. His son, a student, was charged with the same offence, as well as using racially aggravated threatening or abusive words or behaviour likely to cause harassment, alarm or distress.